The agency has announced the appointments in its creative, planning and account management teams. Mumbai-based creative agency Famous Innovations has roped in senior-level talent across departments. Ajmal Mohammad has joined the agency as executive creative director from BBH. He will report to founder and CCO, Raj Kamble. The agency has also appointed JWT's Tanvi Joshi as senior planner. She has worked on brands like Rin, Lux and Sunsilk. Madhavi Raghunath joins as associate account director and will report to Arjun Sen, who joined Famous as head of Business in May this year. In his 15 years in advertising, Ajmal has worked at Ogilvy, Grey, DDB and Leo Burnett. His work has earned top honors at Cannes and One Show. Says Kamble, "We have recently added lots of talent in the creative department, particularly art, and Ajmal comes with the right temperament to lead this team. He has proven his mettle as a great creative time and over, but now as a part of the top management he will also play a key role in building the agency." Arun Raman, head of Strategy at Famous Innovations, says, "For us, having a solid strategic platform for everything we do is critical and we hope that Tanvi will be able to provide this critical springboard for our clients and our creatives." Sen is all admiration for Raghunath. "Always full of energy, she comes with kind of dynamism that is required in an agency on the rise. I believe that client servicing can really make or break an agency, so we have been very careful about our choices," he says. It is to be noted that 16 months after the launch of StrawberryFrog in India, the agency went independent and renamed itself as 'Famous Innovations'. StrawberryFrog launched its India operations in November 2012, with Kamble at the helm of affairs. 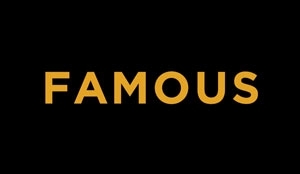 Famous Innovations' roster of clients includes Lakme, Piramal, Miller High Life, Mahindra, Vadilal Ice-Creams, Forbes India, Raymond, Movies Now and Romedy Now.